Αν έχετε όρεξη για... δράση με παρέα, έχετε υπόψη το Generation Zero της Avalanche (Just Cause). Το Generation Zero είναι open-world co-op shooter το οποίο διαδραματίζεται σε μια εναλλακτική Σουηδία του 1989 όπου εισβάλουν εχθρικές μηχανές. Μόνος ή μαζί με άλλους τρεις παίκτες, πολεμάτε τις μηχανές χρησιμοποιώντας τακτικές ανταρτοπολέμου στον ανοιχτό κόσμο του παιχνιδιού. Όπως ανακοίνωσε η Avalanche, το Generation Zero βγαίνει 26 Μαρτίου για PS4, Xbox One και PC. Δείτε επίσημα χαρακτηριστικά και trailer και πείτε μας αν σας ενδιαφέρει! • 1980’s Nostalgia. Cutting Edge Visuals. 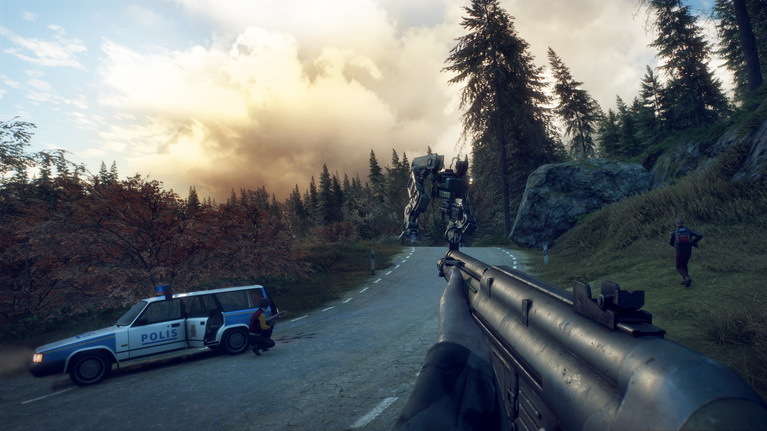 - Explore a vast open world, rendered with the proprietary Apex engine, featuring a full day/night cycle with unpredictable weather, complex AI behavior, simulated ballistics, highly realistic acoustics, and a dynamic 1980’s soundtrack. • Get Ready. Then Fight Back. - All enemies are persistently simulated in the world, and roam the landscape with intent and purpose. By tactically combining weapons, skills and equipment, you’ll be able to lure, cripple, and destroy your enemies. If you manage to destroy a specific enemy component, be it armor, weapons or sensory equipment, the damage is permanent. Enemies will bear those scars until you face them again, whether that is minutes, hours, or weeks later. • 1-4 Player Seamless Multiplayer - Go it alone, or team-up with up to three of your friends in seamless co-op multiplayer. Do anything in your power to level the playing field; scavenge for weapons and equipment, set traps and use the environment to your advantage in intense sandbox combat. Collaborate and combine your unique skills to take down enemies, support downed friends by reviving them, and share the loot after an enemy is defeated. In Generation Zero, living is winning.